The iLMM3 is the third and most advanced version of the Industrial Lumbar Motion Monitor introduced almost 20 years ago and used by leading organizations worldwide. 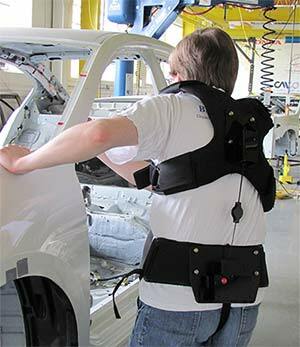 Assess the impact of ergonomic interventions into a work site. The LBD (Low Back Disorders) risk model can be used to identify which elements of a job led to an increase in LBD risk and thus which elements need to be changed. It is important to understand that LBD risk can never be completely eliminated, but by quantifying risk levels, the model can help determine if a job is within acceptable levels of risk. It can additionally provide a "benchmark" of LBD risk for a job, allowing comparisons between the original design and possible job alterations. The LMM breaks the work into individual job tasks for analysis of the specific range of motion, velocity and acceleration moments on the lumbar spine. The LMM allows you to compare the task to a normative database of common variables associated with jobs that have a high incidence of low back disorders. These comparisons, combined with the data from the job site assessment, allows you to recommend ergonomic changes. Assessment of Low Back Disorder Risk is calculated across a job (for overall job) that is composed of several subtasks, in addition to calculations of risk for each subtask. Risk can be assessed by computing averages across several employees performing the same job or subtask. Data exporting capabilities including Microsoft Access format. You can export summary trunk motion statistics for each trial, as well as trial level time dependent trunk motion data. Warning and alert messages prevent the user from making errors during data collection and analysis, such as the necessary number of trials for an LBD Risk Analysis, and the necessity to offset LMM voltages before use. User controlled start and stop feature for data collection for tasks where the cycle times vary, even within the same task. "Hot buttons" assist users in the software's use and in navigation. Allread, W.G., Marras, W.S., and Burr, D.L., (2000), "Measuring Trunk Motions in Industry: Variability Due to Task Factors, Individual Differences, and the Amount of Data Collected." Ergonomics, 43:691-701. Gill, K.P., and Callaghan M.J., (1996), "Intratester and Intertester Reproducibility of the Lumbar Motion Monitor as a Measure of Range, Velocity and Acceleration of the Thoracolumbar Spine." Clinical Biomechanics, 11(7):418-421. Marras WS, Allread WG, Burr DL, and Fathallah FA, (2000), "Prospective Validation of a Low-Back Disorder Risk Model and Assessment of Ergonomic Interventions Associated with Manual Materials Handling Tasks." Ergonomics, 43(11):1866-1886. Marras, W.S., Allread, W.G., and Ried, R.G., (1999), "Occupational Low Back Disorder Risk Assessment Using the Lumbar Motion Monitor." in Karwowski, W., and Marras, W.S., eds., The Occupational Ergonomics Handbook. CRC Press: Boca Raton, FL, 1075-1100. 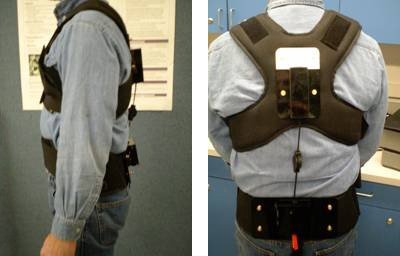 Marras, W.S., Fathallah, F.A., Miller, R.J., Davis, S.W., and Mirka,G.A., (1992), "Accuracy of a Three-Dimensional Lumbar Motion Monitor for Recording Dynamic Trunk Motion Characteristics." International Journal of Industrial Ergonomics, 9:75-87. Marras, W.S., and Kim, J.Y., (1993), "Anthropometry of Industrial Populations." Ergonomics, 36:371-378. Marras, W.S., Lavender, S.A, Leurgans, S., Rajulu, S., Allread, W.G., Fathallah, F., and Ferguson, S.A., (1993), "The Role of Dynamic Three Dimensional Trunk Motion in Occupationally-Related Low Back Disorders: The Effects of Workplace Factors, Trunk Position and Trunk Motion Characteristics on Injury." Spine, 18(5):617-628. Stuart-Buttle, C., (1995), "A Case Study of Factors Influencing the Effectiveness of Scissor Lifts for Box Palletizing." American Industrial Hygiene Association Journal, 56:1127-1132. Lumbar Motion Monitor, iLMM and iLMM3 are trademarks of Biodynamics Inc.